Earlier in the year we briefly introduced you to a list of bag brands to watch in 2018, and as we near the end of the year it’s cool to recap on the success of some of these brands. 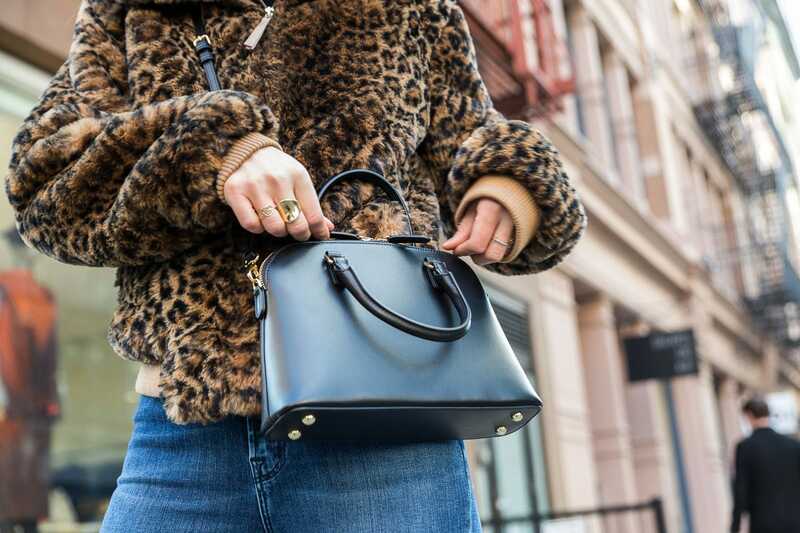 One brand in particular has sky-rocketed to popularity, offering consumers classic, and stylish pieces that focus on great quality and craftsmanship. Linjer has churned out hits like its Tulip Bag, which once had a wait blist of 2,500 people, and my personal favorite: the Doctor’s Bag. There’s something to be said about minimalist, no-fuss designs that can compliment any outfit. Though I love a good statement bag, sometimes I want a simpler design — one that’s a bit more understated, yet still sleek and also one that won’t overtake what I’m wearing. The Linjer Crossbody Bag fits the bill. The Crossbody Bag from Linjer is chic, but it’s also a refined classic that will never go out of style. The shape is reminiscent of a bowling bag, but sized down to make the perfect everyday companion. A quick first look at the bag and you’d think that it’s incredibly simple, and while in some ways it is, once you get a feel for it, it becomes apparent that the bag is well-crafted and no detail is left out. It’s constructed of luxurious Italian leather that is both soft to the touch yet durable enough to withstand daily wear. The Crossbody Bag is available in black, navy and burgundy — which makes for a great elevated neutral. Linjer prides themselves on their obsession with great leather, sourcing their materials from only the finest tanneries in Italy. The smooth leather that makes up the Crossbody Bag holds dye really well, showcasing the rich tones of navy and burgundy as well as classic black. The details on this bag are simple and don’t overwhelm the clean lines of the bag, which features a gold toned double zip and 4 incredibly useful metal feet. It can, of course, be worn cross body, but the adjustable strap is also completely removable, and I adored carrying this bag via the top handle strap, which looks very ladylike. The bag is lined in a beige cotton twill, making it easy to spot what it is that you’re looking for on the move. 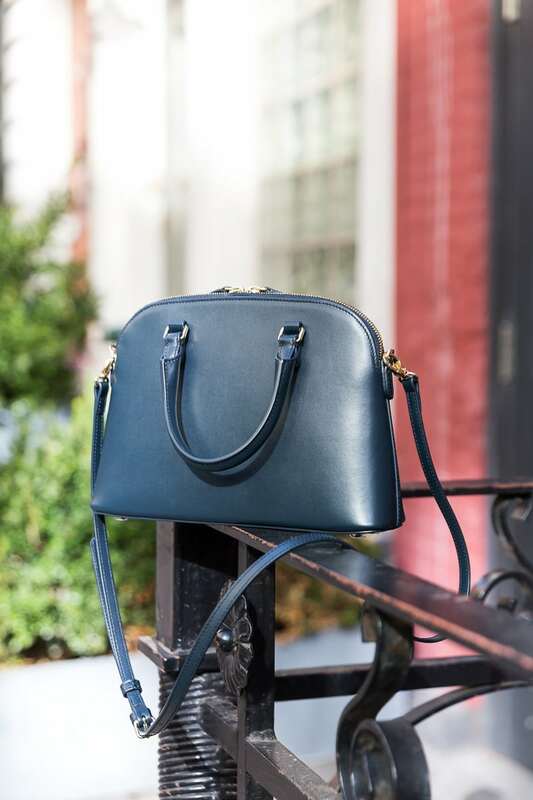 While this bag is certainly on the smaller side, it’s not as tiny as most mini bags of the moment. It can fit your smartphone, full-size wallet, some cosmetics, a small notebook + pens, and it’s even large enough to fit a kindle. Inside, there are two slit pockets, which are great for holding small items such as mints, or gum, but can also fit extra cards or items you’d grab in a hurry such as train tickets or your ID. 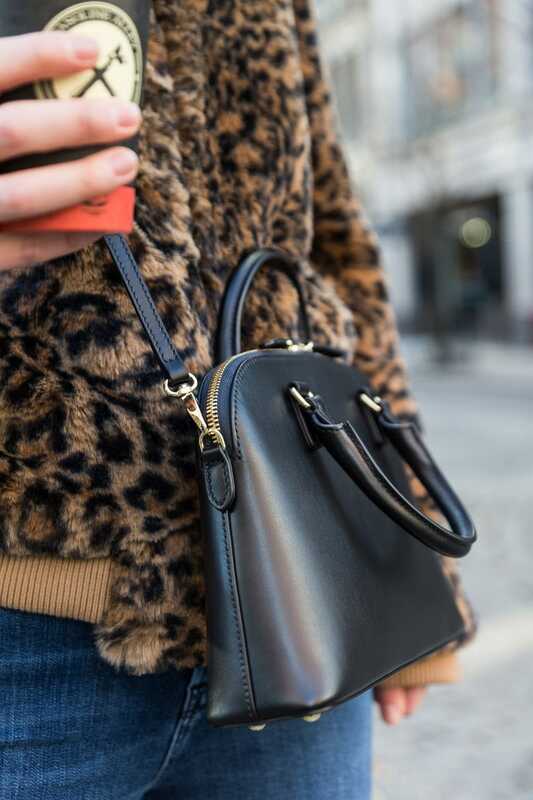 Overall, the dimensions of the Crossbody Bag are 8″ L x 11″ W x 2.8″ D. Perfect for both the street style lover as well as the classic belle of the ball, it retails for $349 and is available via Linjer.co.